When intending to purchase Cumin Essential Oil, it's important to ensure that you doublecheck the method of extraction to ensure that it's steam distilled. If you see that the method of extraction is listed as being cold pressed or expeller pressed, the oil is a carrier oil (vegetable oil) and is not an essential oil. The steam distilled essential oil and the cold pressed carrier oil each offer numerous, but different benefits. For more information on the carrier oil, see AromaWeb's Black Cumin Seed Oil carrier oil profile. Cumin Essential Oil appears to be comprised primarily of monoterpenes and aldehydes. It's primary component is Cuminaldehyde. Aromatically, a little goes a long way. The oil possesses a rich, spicy, earthy aroma that some find sensual. It is sometimes used within fragrancing applications, and it blends especially well with other oils within the spice, wood and citrus families. For more information about Cumin Essential Oil, read the details shown below, and be sure to read the the Safety Information section below to learn more about its phototoxic risk within dermal applications. 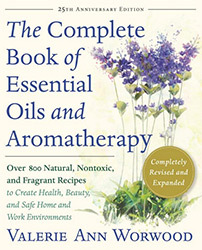 Source: Julia Lawless, The Encyclopedia of Essential Oils (Updated Edition) (London: Harper Thorsons, 2014), 80. Cumin Essential Oil "...may enhance conventional insecticides against mosquitoes." Reading Chapter 7 of Dr. Jane Buckle's text is highly recommended to understand the context and to view the original source. Source: Jane Buckle, PhD, RN, Clinical Aromatherapy: Essential Oils in Healthcare (Third Edition. United Kingdom: Churchill Livingstone Elsevier, 2015), 132. Source: Julia Lawless, The Illustrated Encyclopedia of Essential Oils (Rockport, MA: Element Books, 1995), 129.